Here’s another juicy statistic for you: 112 million Americans have listened to a podcast. That’s 40% of the population! And in the health, fitness, self development and business spaces in particular, new podcasts are now popping up all the time. Introverted though many of us may be, the fact remains that we’re social creatures by nature. 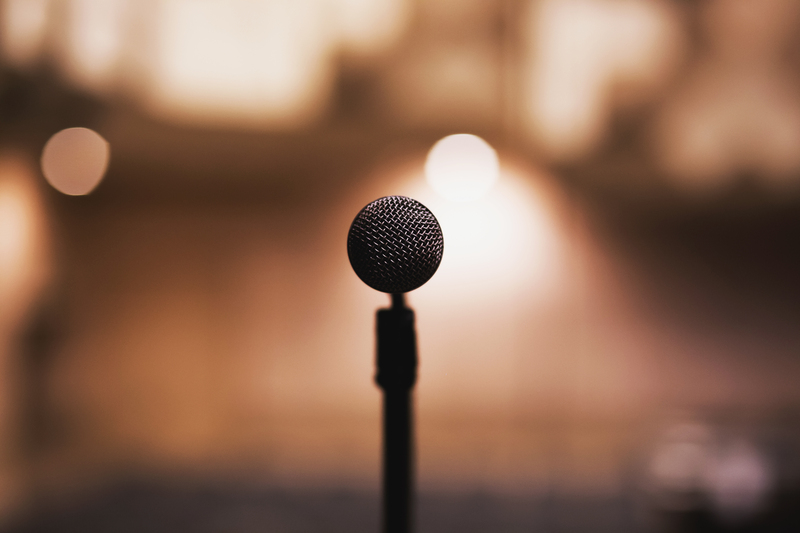 When we’re in a situation that doesn’t necessarily allow for socialising, whether that’s driving to work or hanging out our washing, podcasts fill that social gap perfectly. Similar to a friend, they inspire, uplift, entertain and sometimes even make you laugh. You can learn a lot from them, from an insight into a point of view different from your own, to real life, practical tips for improving yourself or whatever situation you’re dealing with. With that in mind, I want to share some of my favourite and most inspiring podcasts with you – all of them centred around health, nutrition, wellbeing and ethical living. I guarantee that if you listen to one of these podcasts, you’ll go away feeling inspired and having learnt something valuable. This podcast is nothing short of phenomenal. Many a powerful insight about myself has been discovered through listening to the amazing wisdom served up by host Sarah May. Some topics covered include things like self-discovery, feeling stuck, relationship issues and making big life decisions. I can’t recommend it enough! The host of this podcast, Venetia Falconer, is a total podcast host natural. Her friendly, bubbly and empathetic personality makes each episode a joy to listen to. So what’s it about? Each episode, Venetia talks to a new guest about their life with food, covering topics like their relationship with food as they grew up, the food experiences that changed them, why they chose to follow the type of diet that they do, and so on. The umbrella focus is on how food fits into our lives and overall wellbeing. Similarly, at the end of each podcast, Venetia asks her guest to describe their death row dinner. Again, this is so much fun because I think it can tell a lot about people! Don’t miss the episode with chef, food stylist and cookbook author Anna Jones, or the episode with cookbook author Ella Mills – they’re both so fascinating. If I had to pick just one of the inspiring podcasts from this list that have been most influential in changing my habits, it would be this one. Prior to stumbling across this podcast, minimal and ethical living was something I had thought about a little, but neglected to do much about. Since listening to this, I’ve picked up so many actionable tips for practicing a more sustainable lifestyle. The host Brooke is so knowledgeable and inspiring. She brings up so much interesting food for thought regarding the negative habits we subconsciously find ourselves carrying out every day – to the detriment of both ourselves, and the planet. All in all, if you’re looking to live more consciously and less in the fast lane, this podcast is for you. An invaluable podcast relating to all things relationships. Sarah May and Ellen Huerta are such a fun duo. They drop a ton of knowledge bombs and insights into every facet of being in a relationship, whilst maintaining a humorous and upbeat tone. It’s like having a deep chat about your relationship with your best girlfriends. If you love getting your analysis on and working on becoming your best self, this podcast will be right up your street. I doubt there’s anyone who doesn’t love Rupy Aujula, the bubby medical doctor behind the Doctor’s Kitchen podcast. On this podcast, Rupy interviews leading healthcare experts on the latest evidence based research relating to their respective fields. He helps to translate complex science into easy, approachable health practices that the audience can integrate into their lives. His unwavering enthusiasm makes for an entertaining, but nonetheless educational and inspiring listen. Don’t miss the episode where Rupy interviews Dr Rangan Chatterjee – a pioneer in the field of personalised and lifestyle medicine – on eating to beat type II diabetes. Dr Chatterjee also hosts a podcast, Feel Better Live More, which I highly recommend checking out. The “Eat Fibre” episode with gut health specialist Dr Tim Spector and “Eat For Your Skin” episode with consultant dermatologist Dr Anjali Mahto are also brilliant. If ever there was a dynamic duo, it’d be Vegetarian Zen hosts, Vicky and Larissa. I love the energy and enthusiasm they put into everything they discuss, from vegan substitutes to all things avocados. Their approach to vegan and vegetarian eating is approachable, non judgemental and highly informative. On top of that, the episodes are the perfect length, rarely going above 30 minutes long. I find that a lot of podcast episodes are so long that I just don’t have the time to listen to it all in one go, but Vegetarian Zen is perfect for those shorter windows of time. I’m so glad I found this! It’s perfect for anyone looking to learn more about living the best vegetarian lifestyle they can. 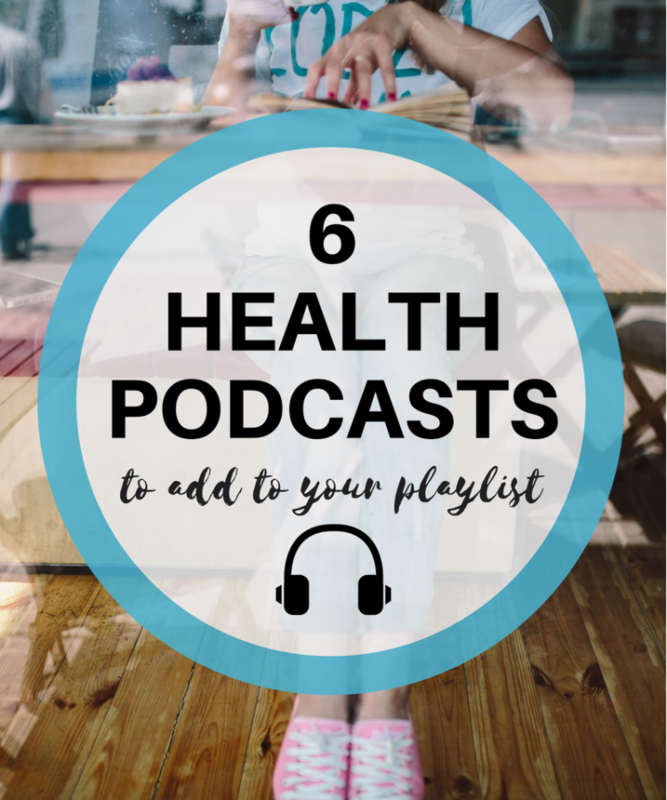 So there we have it – my favourite health podcasts at the moment! I hope this gave you some ideas and prompted you to give podcasts a try if you haven’t already. Be sure to let me know if you check any of them out – I’d love to hear your thoughts. What are some of your favourite health podcasts? I’ve been looking for some podcasts to listen to in the gym and these seem like a great selection, thank you! Thanks so much for including Vegetarian Zen in your list! We are truly honored and are so glad that you enjoy the podcast. We’ve been doing the show for 5 years now and I can honestly say that we have received more value from it in the form of new friends and in learning from our own research than we ever imagined we would. It is a labor of love, and we are always thrilled to hear that other people enjoy it as well.